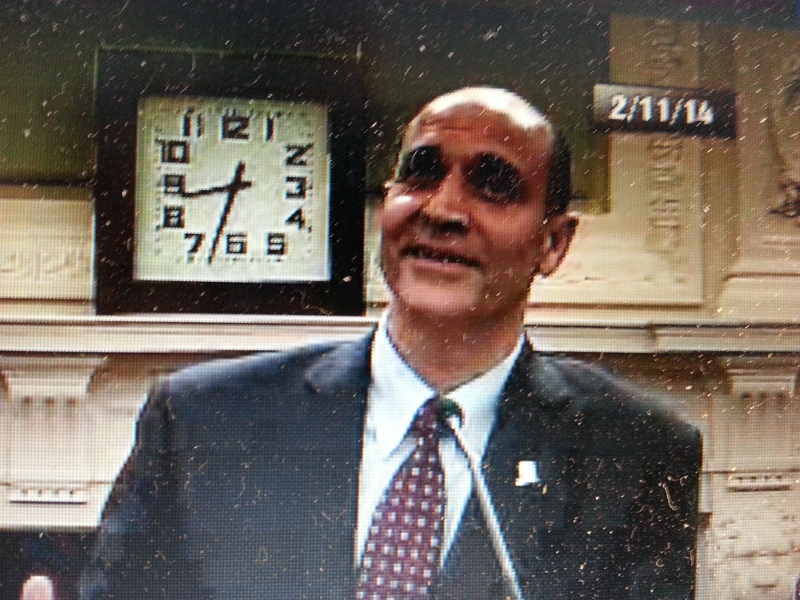 it was not clear from his testimony whether he would request funds in the FY 2015 budget for this purpose. Reservation 13 is the 67-acre former site of DC General Hospital lying east of 19th Street in Hill East. Hoskins and his team testified before Councilmember Muriel Bowser’s Economic Development Committee which was conducting its annual oversight hearing of the Deputy Mayor’s Office. Asked by Bowser why it has taken a year to negotiate the Land Development Agreement with the developers of the first parcel, Hoskins and his team said that market is not as robust as in other areas of the city and the developer need to figure out a financial plan to make the project work. Bowser followed up, asking Hoskins the overall plan for the rest of the parcels on Reservation 13. Hoskins reiterated that it is a weak market and attracting capital is difficult. He said that the Donatelli/Blue Skye project was a test, and if they get a great response, additional parcels will be developed. Bowser’s questioning of Hoskins on the subject of Hill East was prompted by the testimony delivered earlier by ANC6B Chair Brian Flahaven. Flahavan pointedly said he wanted DMPED to be asked when will there be final agreement Donatelli/Blue Skye and how much money has the mayor’s FY15 budget allocated to Hill East. In addition, he asked whether DMPED is preparing a plan for other parcels, the timeline for the plan, what parcel would be next, and what’s been done to close DC General. With respect to the latter, Flahaven urged Mayor Gray and DMPED to take action immediately to develop a plan to close the temporary homeless shelter at DC General and begin transitioning homeless families and individuals into better housing options and to develop a plan for transitioning social services located on the site. ANC6B’s Planning and Zoning Committee has given conditional approval to a plan to develop a new coffee/shop café at 1247 E Street, SE, diagonally across the corner from Peter Bug Shoe Repair academy. Hatem Hatem, who owns the building, envisions a public space where the community can meet. He will renovate the first floor of the building and provide coffee and other beverages, pastries, breakfast, lunch, and light dinners. He told the committee that he will also sell “farmhouse products,” noting that during summer a weekly farmer’s market sets up across the street. Hatem does not yet have an operator for the shop but hopes to have one in the next few months and open, perhaps, by late summer. He anticipates a 9:00am through 8:00pm operation but is trying to work out an agreement with neighbors to remain open until 9:00pm during the summer. The ANC committee’s approval was conditional upon Hatem working out an agreement regarding summer hours before next Tuesday’s full ANC6B meeting. Hatem will also remodel and continue to operate the four unit apartment complex on the building’s second floor. The building, vacant since the end of September, was established as a commercial operation in 1898 and has gone through many iterations, including grocery store, candy store, headquarters for a rugby club, and offices for a world peace organization. Hatem is asking ANC committee to support a variance from current use provisions to allow the coffee shop/café. 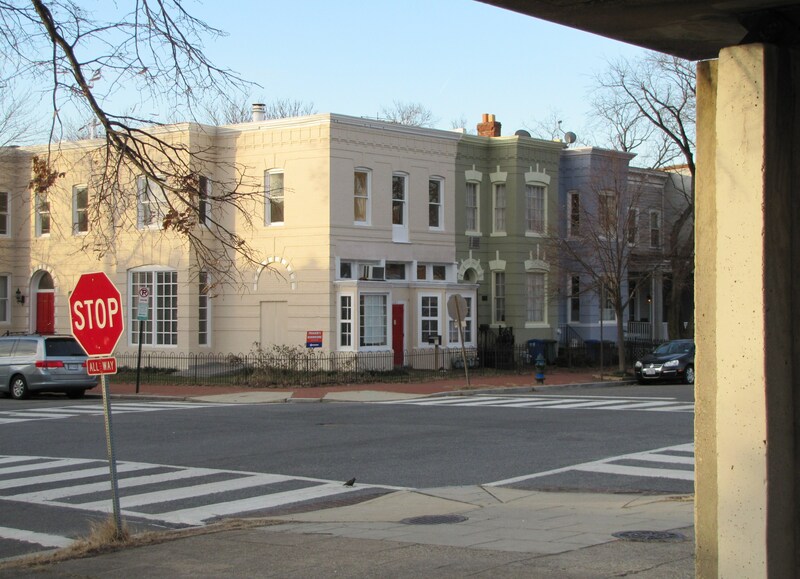 The variance was strongly supported by commissioner Nichole Opkins, who cited the popularity of the nearby Cupcake Café and the Pretzel Bakery on 15th Street, SE. CHC reached out to Peter Bug who said he has been across the street for 37 years and fully supports the new venture, noting “it will be beautiful to have something on that corner besides what’s there now. A coffee shop would probably be ideal for folks in the community.” He said that the only problem he foresees is parking, noting Frager’s temporary store a half block down E Street as well as the school football leagues that practice and play on the field behind Watkins School across the street. In the past, some residents of the 1200 block of E Street have expressed concerns about the activities which develop around the games. Parents of the football players who drive their children to the field remain to watch them play and take them home – and in some cases host tailgate parties and even barbeques on the streets around the field. Hateem told the Committee last night that he did not foresee any impact on parking.